Watching Rock and Roll Hall of Fame inductees. 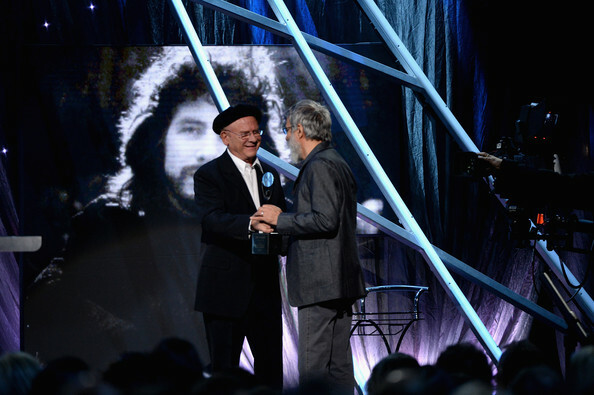 Cat Stevens kisses jew Art Garfunkel. Garfunkel describes Islam as a close friend. It's OK to understand jewish biological evolutionary strategies if you're a multi-millionaire rock star? Nobody bothers you? There was a significant population of jews in Cyprus. But Mediterranean-descended is a broad look. "The Jews seem neither to respect God nor his creation. Their own holy books contain the curse of God brought upon them by their prophets on account of their disobedience to Him and mischief in the earth. We have seen the disrespect for religion displayed by those who consider themselves to be 'God's chosen people. '...There will be no justice until all the land is given back to its rightful owners... Only Islam can bring peace back to the Holy Land." The same as the 'peace' in the Muslim countries of the Middle East, Mr. Islam?